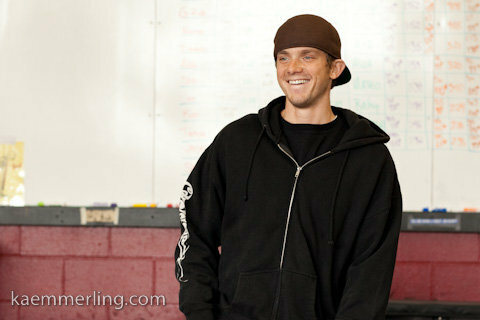 Gary started CrossFit in 2005, at the original CrossFit gym in Santa Cruz, California. After receiving his B.Sc. in Exercise and Movement Science from San Francisco State University, Gary went on to become a CrossFit trainer in 2008. In 2011, in addition to his regular CrossFit client and class schedule, Gary was selected by Annie Sakamoto to be her personal coach in preparation for the 2011 CrossFit NorCAL Regionals in which Annie received 3rd place, then headed to the 2011 CrossFit Games, where she placed 9th in the World. The following year, under Gary’s watchful coaching, Annie placed 2nd in the 2012 NorCAL regionals and 23rd in the 2012 CrossFit Games. Gary describes working with an elite athlete like Annie, as the once in a lifetime dream of any coach, but rather than cause him to lose interest in working with the beginner and intermediate athlete, the experience has only increased his desire to share his knowledge and enthusiasm for movement with athletes of all levels. . His quiet patience and ability to break down a movement so that anyone can understand it are just two of the things that make him successful and respected as a coach. An avid surfer, Gary has been involved in athletics, sport and exercise his whole life. He is passionate about and dedicated to teaching what he believes is the most valuable, effective and unparalleled fitness program on the planet. Gary comes to CrossFit Santa Cruz Central with a tremendous amount of respect and appreciation for the trainers and athletes he has the privilege to work beside every day.